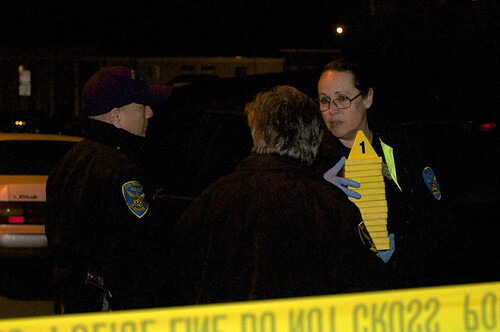 San Francisco Police respond to a shooting in Parkmerced on Wed., Jan. 18 that took place around 9:20 p.m. Photo by Godofredo Vasquez. 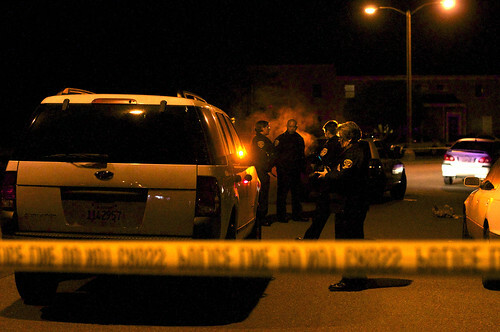 A shooting occurred in Parkmerced Wednesday night leaving one person injured. The victim was waiting on the 300 block of Arballo Drive for a friend at 9:20 p.m. when an unknown male approached and shot the victim in the leg, according to the San Francisco Police Department. The victim was taken to UCSF Medical Center with non-life threatening injuries. Although SFPD initially responded, University police did follow up on the incident, according to University spokeswoman Ellen Griffin, who also noted that no students were involved. No arrests have been made and there appears to be no connection between the victim and the suspect. Anyone with information is encouraged to call the Police Department’s anonymous tip line at (415) 575-4444 or send a tip by text message to TIP411. I don’t want another felony charge .